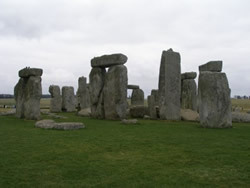 English holidays - Enjoy the delightful English countryside, coastal locations and cities in England. Holidays in England - Enjoy the delightful English countryside, coastal locations and cities. 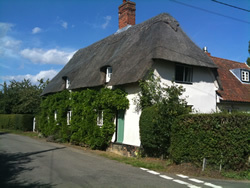 Welcome to Holidays-England.com the site dedicated to comparing all types of holiday accommodation in England. We have literally thousands of holidays available to suite all types of needs and budgets. Holidays in England range from exclusive luxury holiday cottages to low cost camping or caravan holidays. For those who prefer full board or bed and breakfasts we have thousands of hotels and B&B’s / Guesthouses on offer. All can be booked online for your convenience and to help you get the best prices. For those who prefer the freedom of a self catering holiday in England we have a massive range of holiday cottages, lodges and caravans on offer. With such a wide variety of accommodation available you are sure to find the perfect holiday to meet your needs. If outdoor life appeals then a camping or caravanning holidays is a great way to enjoy the outdoors and have a really wallet friendly holiday. If a break on England’s waterways appeals there are hundreds of hire boats to choose from. There are many wonderful regions in England to choose from. As you browse through the holidays in England you can select the holiday accommodation you are looking for, the region and town. Alternatively you can use the search box (top right) to search the entire site for the holiday accommodation that suits your needs. When you have found the holiday property or park you are interested you can check the availability and book online. Included on the site are holiday properties from a number of reputable holiday operators so to help ensure you find the holiday you want. Books-uk.net compares prices for a number of books that will help you get around in your chosen area of England.